The Automotive Industry Development Centre (AIDC) in Rosslyn, Pretoria, has announced that it has implemented an augmented-reality welding solution for its trainees. 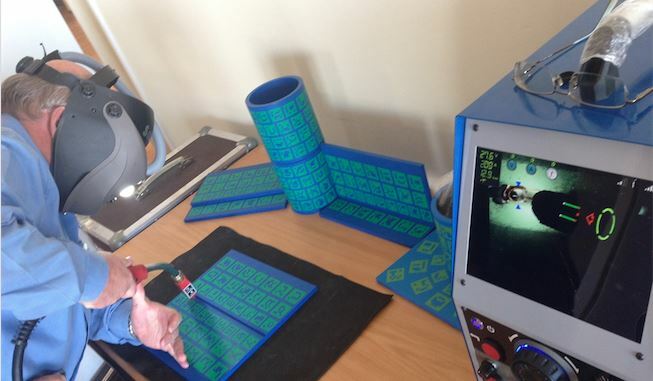 Supplied by Sangari South Africa, an education solutions provider, the Soldamatic augmented-reality welding simulator is being used to upskill trainee welders, without the need for a formal training environment. The simulator benefits include its low running costs, eliminating the need for welding rods, steel plates and oxygen or even special clothing or ventilation according to Bez Sangari, CEO Sangari South Africa, the sole distributor of the product. The simulator consists of a hardware unit the size of a standard PC with a built-in screen that allows the trainer to view the student’s progress in real-time. Progress is also recorded. The trainee wears the augmented-reality headgear, simulating a real welding environment. The headgear does this by generating realistic welding graphics, such as the weld pool and beam. It emits simulated sparks and smoke and simulates heating at the affected area - all of which is viewed through the student’s headgear. It also simulates cracks, filler material, gravity and undercutting. “Welding skills can be trained for specific applications and the student’s performance measured in a fair, reliable and unbiased manner. The unit includes 93 different training lessons and customised lessons can also be added,” says Sangari. In addition, the trainer and trainee are able to analyse and assess the welding performance in a video format afterwards, in order to evaluate skills such as the welding velocity, stick out, travel and working angles. When required, maintenance and upgrades of the software can be done remotely.